Posh top scorer Jack Marriott is going nowhere. Peterborough United chairman Darragh MacAnthony is determined to hang on to star men Marcus Maddison and Jack Marriott in the January transfer window. Several Championship clubs have been linked with a move for Marriott including Sunderland and Birmingham, while another second tier team Sheffield United are reportedly preparing a bid for Maddison. Danny Lloyd, seen here celebrating with his grandad George after his winning goal at Fleetwood, is on the Posh transfer list. Photo: Joe Dent/theposh.com. But MacAnthony, in response to questions from Posh fans on Twitter in the last few days, insisted there was ‘no chance’ of Maddison leaving and he described 18-goal Marriott as ‘priceless’. Posh are planning to be busy as soon as the January transfer window opens. Posh go into Saturday’s (December 23) League One match with bottom club Bury at the ABAX Stadium in eighth place, just three points outside the play-off positions. And the club don’t want to let the grass grow under their feet. 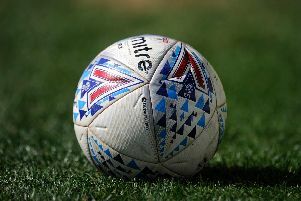 They have identified players who can boost their push for promotion and they are close to letting several players go in order to free up the cash to enable new signings to be made. Marcus Maddison in action for Posh at Fleetwood. Posh want to complete their business as early as possible in the January transfer window. Forward players Danny Lloyd and Ricky Miller could be the ones to make way. They are among five Posh players to have been made available for transfer along with Jordan Nicholson, Adil Nabi and Callum Chettle. Chettle is expected to join National League Fydle on loan until the end of the season. Posh are keen to bring in a more powerful, aggressive forward to supplement the qualities of top scorer Marriott and Junior Morias. Morias could return to action in the new year. Posh are also chasing a goalscoring midfielder.